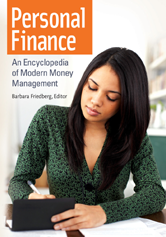 The ideal roadmap to 21st-century financial literacy, this layman's encyclopedia discusses ideas, concepts, events, and people that inform money management and personal finance. It explains the intricacies of things like investing, saving, debt, credit, and mortgages, and it drills down into complexities like the difference between 401(k) and 403(b) retirement plans. Buffett, Warren, Owner of Berkshire Hathaway Inc.